Rail operators will have to rely less on subsidies to increase train capacity and the transport department should require new operators to provide enough carriages for passengers, a report by the British Public Accounts Committee said on yesterday. The problem is a combination of a shortage of carriages, poor seating capacity in the carriages themselves, and short platforms in some stations, which prevents the running of longer trains. The troubles go back a long way. One of them is that the rolling stock itself is too expensive. A mark 1 coach cost about £5000 in the 1950s. That is about £200,000 in present-day money. But a new hauled vehicle cannot now be purchased for less than £600,000, and self-powered electric or diesel multiple unit (EMU/DMU) vehicles cost at least twice that amount. And in the 1950s - and right up to the late 1980s, EMUs were usually powered with recycled the electrical equipment which was very robust and was often decades old already. Such recycling is unheard-of today. Of course in the 1950s, train speeds were much lower and modern equipment is more energy-efficient, and there are safety issues as well, all of which have driven up the cost. Air conditioning has come to be expected as a standard fitment, and toilets that discharge onto the track are considered unacceptable. Nevertheless, there has been waste on a gigantic scale. For example, the electrical equipment and many other components in the 1300 or so mark 1 EMU fleet could have been recycled into new vehicles, as the same equipment continues to give good service on a substantial proportion of the fleet and is likely to remain in use for another 20 years or so. Indeed, the mark 1 fleet itself, despite its age, was perfectly acceptable for use on secondary routes and superior to the slightly newer stock now running on those lines. The spread of fixed-formation trains also contributes to the shortage, as it is not possible to add extra vehicles kept on standby. to shift to locomotive-haulage, which is more economic when trains are five cars long or more and allows vehicles to be added or removed in response to demand. for vehicles which can have a variety of seating layouts without compromising comfort unduly - which rules out the customary 1:3/2:3 door configuration. an effective platform-detection system which can be fitted to all stock, so that long trains can stop as stations with short platforms without the risk that passengers will step off into oblivion. to evaluate the systems fitted to vehicles on a value-for-money basis. This applies to features such as air-conditioning, fault-detection systems, at-seat power supplies, and all the other expensive things that fall into the category of nice-to-have. 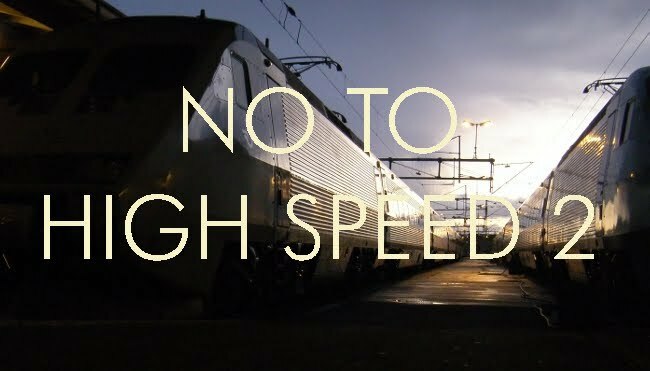 to establish what are the optimum trains speeds on a value-for-money basis. Once the specifications are cut down to prioritise capacity and basic comfort, there will be a better chance of curing the present troubles.